em-123456778890, knottiedfbe48175752a657, knottie3d0b735b9fd13f56, knottied1a340c4fe8bc453, knottie624354cac4b7185f and 143 others joined. Knottie1466528875, vsanj916, kate.normandin, knottieeb77b796534a2311, alitsvetkov and 27 others earned the Photogenic badge. Knottie1466528875, vsanj916, kate.normandin, knottieeb77b796534a2311, knottie52f0a71b21560180 and 116 others were promoted to member. kate.normandin, knottiee123f661876a3aa1, sisizheng, knottie51201052cf8eebca, ebraden17 and 2 others earned the First Anniversary badge. Fit Mama Check-In: January 2nd! Happy New Year! Cheers to being in the year we meet our babies!! 1: How far along are you? 2: What are your goals for the week ahead? 3: How was last week? 4: Any new challenges or needed modifications?? 5: How are/have you treated your self? Celebrate your body and its accomplishments! 6: Questions, Concerns, Rants, Raves, Randoms? 7: GTKY: Hows baby prep coming? What have you done? What's left on your to-do list? 8: challenge chatter---> Day 15 today! Re: Fit Mama Check-In: January 2nd! Happy new year! It's my last day of holiday vacation BOO HOO!!! Back to work tomorrow but only 2 more months in the office before I work from home for a month then go on leave when I get to meet my little guy! Exciting! 1: How far along are you? 28 weeks tomorrow! 2: What are your goals for the week ahead? 4 workouts, now that the holidays have passed I need to try to get back on track. But I know those workouts are going to be more low-key and modified than in past weeks. Would like to do 2 crossfit and 2 road runs (3mi). And to eat more protein! 3: How was last week? Somehow it ended up being really good! 5 workouts. Probably because I had so much time since I didn't have to work. Monday and Tuesday I ran 3mi each day with my sister (walking at intervals and up big hills) while we were visiting my mom for Christmas in CT. Then Wednesday and Friday I went to crossfit, and Saturday I fit in another 3mi interval run! Then Sat night we hosted NYE and all our friends were incredibly gracious and helping me a lot, but I totally bit off more than I should have at nearly 28 weeks pregnant. And going for a run that morning was totally unnecessary bc I was on my feet cleaning, prepping, hosting all night. Not to mention the full day before that prepping and cooking. By the end of the night (I went to bed at 1am!) I was totally beat then spent the whole day yesterday on the couch. Eating for the past week was better than the week before! Way less sugar. 4: Any new challenges or needed modifications?? I really need to rest more and think ahead to how tired I will be if I do certain things. I feel good most of the time and just end up reaching the point of total exhaustion at least once a week. This more in regard to life than just only working out, but I need to be more conscious of it. Also at crossfit I need to stack 3 45lb plates and I do burpees a bit elevated since going all the way into a plank and getting back up is a challenge. And no more pull-ups. I just don't feel comfortable hanging from the bar anymore because with the extra weight I have to use a suspension band for a little help, and I feel like I'll get tangled and fall. So I'm doing ring pulls instead. 5: How are/have you treated your self? Celebrate your body and its accomplishments! Not enough this week! I ran myself down doing too much. I am thinking of hiring a house cleaner though. Normally I would totally scoff at the idea as a waste of money, but with working and a long commute, and getting bigger and just hardly having any TIME. I'm realizing that once the baby comes there will be even less time to do the big things like scrub the shower, clean the microwave, scrub the stove, wash the windows and floors, etc etc. I'm thinking of having someone come in 2x a month to just get that stuff done so all I have to do is maintenance. With a dog that means a lot of vacuuming but that I am used to. It will be a treat, but if it gives me more time to relax, stress less and ultimately have more time with baby, it will be worth it! I might have her come these last couple months before baby, then start coming again when I go back to work. 6: Questions, Concerns, Rants, Raves, Randoms? I can't believe how close we are all getting!!! Especially those of you who are due earlier in March or late Feb..!!! 7: GTKY: Hows baby prep coming? What have you done? What's left on your to-do list? I washed and folded his clothes that I have so far, and started putting things in their place in his room. We still need to wallpaper one wall, and I need to get a rug for his room. Also need to move some furniture out of the room to make way for everything. My shower is not until the 2nd weekend in Feb, and it's killing me waiting so long to have everything ready! I started buying a few of the things off the registry just because I want to have them in place. 8: challenge chatter---> Day 15 today! It's so hard! Going to have to split them up soon for sure! @jenny0228 you are awesome - great job with the workouts, hosting NYE, and with the food choices! You're inspiring me to do better! 3: How was last week? eh. I could've done much better I think. I got 3 workouts in but I'm counting two of those as days I walked dogs for a few hours. Days I help at the shelter I get too exhausted if I try to add a normal workout in addition anymore since I handle the stronger dogs; I'm gonna spend several hours there this afternoon so that's what I'll count for today's activity/workout. I'd like to get 3 other workouts in this week - 1 more afternoon at the spca and 2 cardio-type routines I'll find online. 5: How are/have you treated your self? Celebrate your body and its accomplishments! Being kind to myself by not pushing myself too far, just taking my dr's advice on that and trying to allow myself to rest more without feeling guilty about it (some days I do though). 6: Questions, Concerns, Rants, Raves, Randoms? I also can't believe it's NEXT MONTH for some of us lol it's getting so close! 7: GTKY: Hows baby prep coming? What have you done? What's left on your to-do list? 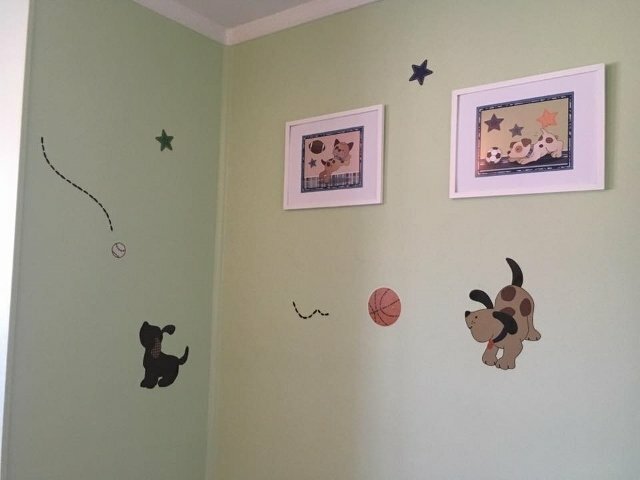 I shared these pictures on FB this morning of baby's room. Gonna wait to do anything more to the room until after the shower but I'm getting super excited seeing things start to come together! Also, yesterday DH & I tried out the car seat in both of our vehicles to test it out...baby classes start this week for me (breastfeeding Wed. night) ...still have a few things on the to-do list but it's nice to have a lot already crossed off. @jenny0228 awesome job with the workouts lady!! But yes-make sure you give yourself a break! Hiring a cleaner to come a few times in the next couple months sounds like such a great idea as a treat/splurge to help you out! @serenity13 walking pups totally counts as a workout at this point! Don't be so hard on yourself! And, the nursery looks AWESOME! Nice work love the puppies! Especially now that i "know you" and your love for them! 2: What are your goals for the week ahead? SO excited to have the holidays past me! Ready to get back to food and exercise normalcy! Goal--4workouts. Just like @jenny0228 said-I know they'll be more modified and low key, but even if they aren't great workouts, I want to get them in! Food-also upping protein and just the amount I'm eating. I felt so so much better last week when I forced myself to eat more. 3: How was last week? Yuck! Week from hell! With Christmas, Wedding, passing out, anxiety and exhaustion it was not a fun week! Lots of junk food. Did 2 workouts which were so/so. I was convinced I couldn't do this pregnancy thing for another potential 10wks and being so negative, BUT yay for a new week and a new year- I have my head on straight now and am feeling positive and back to excited about continuing a healthy fit pregnancy! 5: How are/have you treated your self? Celebrate your body and its accomplishments! Last week, I treated myself, after a crazy few exhausting days-to lots of rest and no guilt about it! I got my nails and hair done for my friends wedding ((which I haven't done in at least a year and a half since having DD)) yikes! 6: Questions, Concerns, Rants, Raves, Randoms? Yes! Can't believe it's coming up! It feels much more real now that I can say "next month" when ppl ask when I'm due (end of February EDD) I only have one more bi-weekly midwife appointment to schedule and then I'll be switching to every week!! AHHH!! Even though I'm obviously glad to not have any complications or a high-risk pregnancy: I'm still stupidly jealous of Mamas that have c-section dates or induction weeks set. I wish I could know exactly what week to look forward to! ...maybe it's just my countdown obsession? But having a baby earlier at 38wks vs the bitter end of 42wks is SO different! Obviously no way of knowing and that part kills me! I was induced with DD - so I've yet to go through the just waiting for natural labor to start! I know I'm gonna be a basket case. Hah. 7: GTKY: Hows baby prep coming? What have you done? What's left on your to-do list? Since we *should* be having another little girl ((still can't get rid of the idea that the ultrasound tech wasn't 100% and we may just have a little boy arrive)) we don't have much prep to do. Have all of DDs old clothes, blankets, and other newborn necesssities unpacked from the closet and ready to be used! Baby will room share with us till she moves in with big sister-so no nursery prep. To do this month: install the car seat, buy some diapers, re-pack hospital bag (I have bare necessities emergency bag packed already)) and I want to make a bunch of freezer meals to have ready to go! NOPE. Following this fully is Not happening here either. I did day 15... but split it up in half with a break in between. So: definitely continuing the challenge and attempting to lengthen the intervals-but yeah, no way its happening without breaking it up. 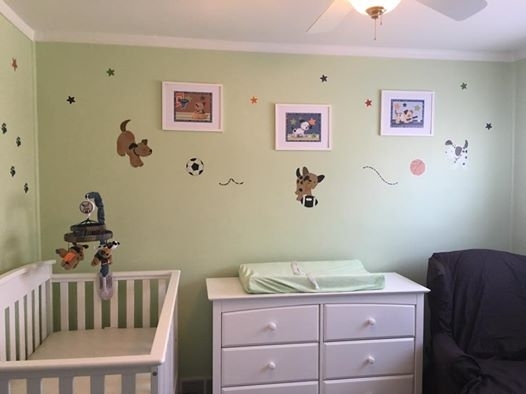 @serenity13 I love the nursery! The pups are SO cute! I love that you do so much work at your spca - that is such a remarkable thing to do. Those dogs are so lucky that there are people like you willing to volunteer time to spend with them. And what a great example to set for your little guy! Also yay for classes starting soon! Mine start later next week, it's getting real now!!! @kjd291 so glad to hear you sound so much more positive this week! I know last week was a rough one with the wedding and passing out. I'm with you, excited to get back to normal and get back on schedule this week. Can't believe how CLOSE you are getting! Sounds like you are all prepared! I was thinking of freezer meals too. Maybe trying to plan it into my weekly or weekend meal prep. Like if I make a veggie lasagna, I'll just make two and freeze one. Or make some extra chicken cutlets or soup.. time to stock up on some aluminum freezer pans and tinfoil! @jenny0228 I HIGHLY recommend getting a cleaner. I have some come do basic cleaning if my flat (vacuuming, mopping, cleaning the tub, etc) twice a month. I still do pickup and all that, buts so with the €35 (cleaners are CRAZY cheap here). @kjd291 I can't believe you're so close!! What's your actual due date? 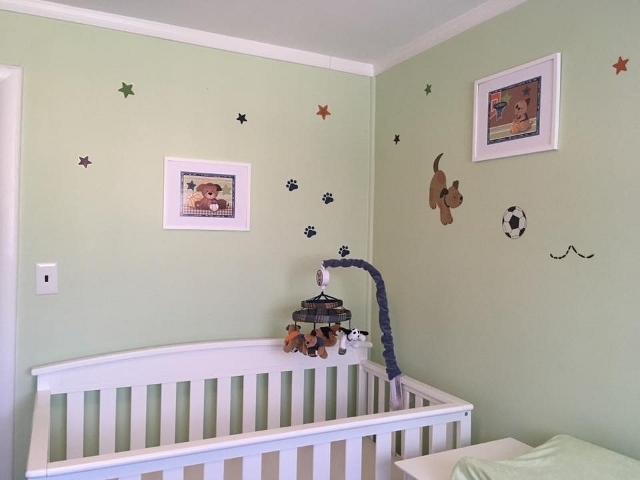 @serenity13 I LOVE the photos of the nursery!! 1: How far along are you? 29 weeks and 2 days. 2: What are your goals for the week ahead? I'm going to play this week by ear exercise wise, but want to make a concerted effort to eat more protein and drink more water this week. 3: How was last week? It started off well, but I've had a bad head cold since New Year's Eve only sleeping in like 4 hour increments because I'm coughing, which is leaving me with zero energy. 4: Any new challenges or needed modifications?? No new challenges, just going to try to stay on top of taking it easy. 5: How are/have you treated your self? Celebrate your body and its accomplishments! Just listening to my body and resting until this cold is gone. Once I'm feeling better, getting back into my routine will be my treat. 6: Questions, Concerns, Rants, Raves, Randoms? I also can't believe how close we all are!! Telling all my clients this week that March 3rd will be my last day before maternity leave. That's two months from tomorrow!! 7: GTKY: Hows baby prep coming? What have you done? What's left on your to-do list? I've got most the stuff for my hospital bag, got the bassinet, the stroller, and the car seat. But that's it. Going to slowly start ordering more stuff on amazon. Can't get much done in terms of larger items until I sell the desk in the room. @jenny0228 yes! That and I was thinking of filling lots of large plastic bags with prepped meals to just toss in the crockpot! @npaulie so sorry you're feeling sick! I hope you can kick it soon and get some energy and rest! My EDD was bumped back to February 19th! I think I'll most likely be a March mama anyway... I make big babies; DH and I were both born big and are still above average size, DD was huge- so I think that the numbers they calculated are a bit off... but guess we'll see!! @npaulie hope you feel better soon! @kjd291 prepped crockpot meals are a great idea!! So last night I went to crossfit and was SUPER discouraged. I just felt huge. We were doing back squats and I was using a weight I have been using easily for the past few months (about 75% of my regular weights) and it didn't feel right. So I stopped, took a break, lowered the weight. Still didn't feel right. I felt my belly touching my thighs as I went into my squat and I felt like I was squishing babe! It freaked me out because this was the first time I felt my belly getting in the way like that. I also had to super modify the entire workout and saw my former lifting partners PR'ing their 5 rep max weights, and I just felt discouraged. Totally irrational bc I know pregnancy is not a time to PR and I'll get back to where I was at some point, but for the first time I did wonder if I should keep up going to crossift or not at this point. If it's just going to make me feel worse for the things I can't do, whereas if I just keep jogging and doing weights at home maybe I'll stay more confident? Dilemma. I might go a few more times to see if it was just all mental, but I keep thinking about it today, can't get it out of my head. @jenny0228 aww, girl! I'm sorry you felt so discouraged! Definitely a personal choice for whatever is best for you mentally (to continue or not) don't feel pressured or guilty one way or another. Goodluck deciding! It's so hard to see others continuing to progress in one way and not be able to follow. As far as squats go for me, I've found there is only one kind of squat I can do now: a WIDE squat otherwise I feel squished and unable to lower down fully So all my workouts that call for different squat variations just become one and the same. Hah. 1: How far along are you? 31 weeks! 2: What are your goals for the week ahead? I'd like to get in at least 3 workouts and cut back on all the Christmas cookies I've been consuming lately. 3: How was last week? Lazy but much needed after all of the holiday madness! 6: Questions, Concerns, Rants, Raves, Randoms? I also want to start prepping freezer meals - Would anyone be interested in doing a recipe exchange? 7: GTKY: Hows baby prep coming? What have you done? What's left on your to-do list? Baby prep is going well! We finally ordered furniture and it will arrive by mid-February. The soon-to-be nursery is where DH kept all his clothes, so we moved his stuff out of there and he is going to start moving the furniture out of there this week. Then he'll paint and we'll decide if we are keeping the carpet or getting new flooring. 8: challenge chatter---> Day 15 today! 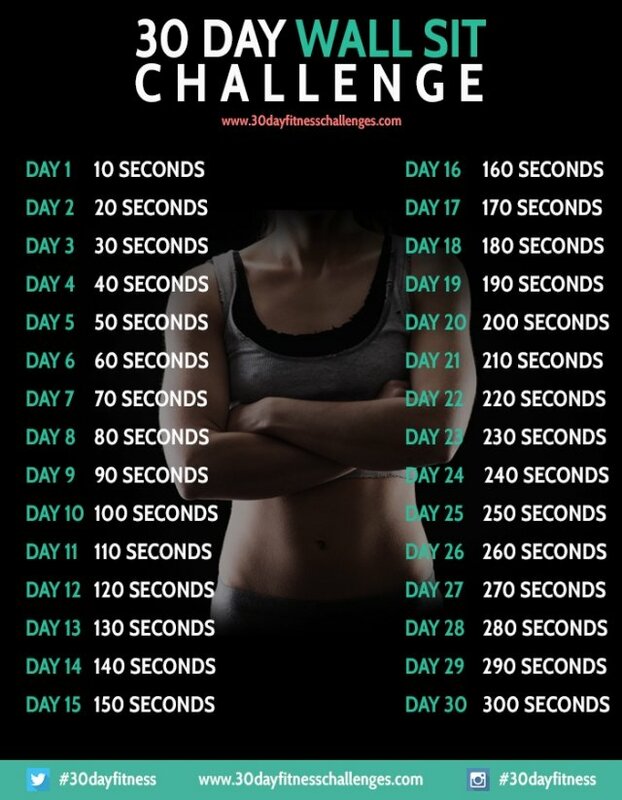 I have been keeping up with the challenge everyday, however I'm stuck on day 6. Or sometimes day 5. Better than nothing I suppose! @jenny0228 I totally get being discouraged. I went through that same stage when I first realized I needed to start taking it easier. like @kjd291 I'm all about the wide squats now! Thanks for the encouragment @kjd291 and @npaulie - I feel a little better about it today, it was just on my mind a lot yesterday but I've decided I will keep going to crossfit and just modify as needed. Maybe I do need to go wider on the squats, and I probably should really just squat with the 35lb bar from now on instead of racking it up with weights. I have the strength to do it still, I just don't have the physique any longer to make it work mechanically!! And I really need to just worry about what I'm doing and not look at everyone else. Fun stat of the day: women are 4.5x more likely to have a C-section when they aren't active during pregnancy! Wow! 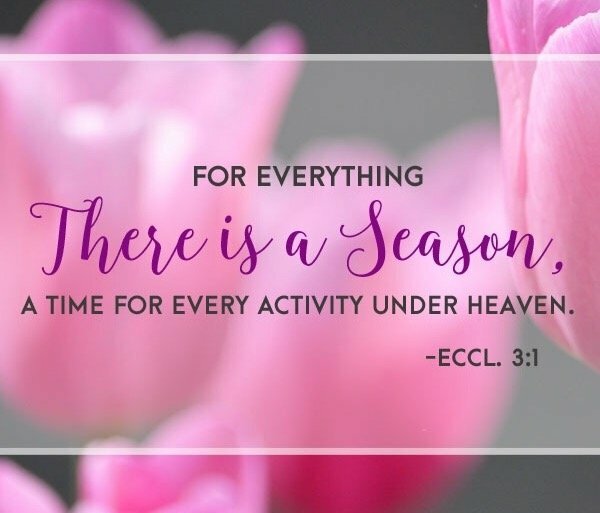 And activity as in fitness obviously isnt meant to be the exact take away from this biblical quote...hah.. but today it was encouraging to me. Theres a time to push hard and a time to grow a baby and listen to your body a time to go fast, and a time to go slow. this season of life is beautiful (hard and chalenging too) but it will pass in a blink of an eye! And we'll be back to new challenges. Try and enjoy this season, for the next few weeks, while it lasts! Thanks for this great reminder @kjd291 - you're so right! and I'm really glad you're feeling more positive this week! Your EDD is my birthday! It's a very good day to be born lol I'm convinced my LO will be arriving at least a week early since he's been measuring so big all along...my husband weighed over 10 lb when he was born so I'm anticipating our baby will be pretty big! ETA: that stat about c-sections is crazy! @jenny0228 I'm glad you're feeling better today about things but I totally understand how disappointed you felt! I've been feeling super HUGE lately and it's just disheartening at times not being able to do things anymore or keep up with others. @npaulie I hope your cold is over soon & you're able to get more rest! Love the inspiration @kjd291! SO very true. Soon we will be working to ramp back up post-baby before we know it! These bumps that are getting in the way right now are only temporary, soon they will be our little people!! When I first counted my EDD (because I was counting wrong) I thought it was my bday and got all excited, which is Feb 28. But I'm due MARCH 28. But I know at least 5 people with birthdays around 3/28 so he could be born on any of their birthdays. I have a close friend whose b-day is 3/26 that I would love him to share. I really don't want an April fool's day baby though!! ooh, yes! I can imagine an April fools day baby wouldn't be a good day. No one would know if your birth announcement was real or a joke! I think it would be sweet to have a Valentine's Day baby ((if she decided to show up early!)) I've never liked the Hallmark holiday that is all about guilting boys into buying flowers for no reason, and making single ppl feel lonely, etc. so id love to celebrate a baby's birth instead! ... although I'm not sure if as she grew up she would care about sharing. Hmm. did my workout! 3/3 for the week! So if I feel good tomorrow or Friday I'll get 4! Also did the wall sits broken into three. I don't think I can do much more than 1min at a time... so I'm gonna stick with 3 1min intervals this week, and then bump it up to 4x for next week. Man, everyone has similar birthdays! Mine is Feb 24. Still with the cold today, but starting to sleep a bit better. Took a 1.5 hour nap yesterday and it was glorious. I have yoga tomorrow, then going to try to ease back into the gym this weekend. Glad I have the day off today because I've completely lost my voice, and none of my clients would be able to hear me. Haha. @jenny0228 glad you're feeling better about things today. @serenity13 will have to check out that video! @gracie4400 would totally be interested in a recipe exchange! That's a great idea! Happy New Year! Cheers to being in the year we meet our babies!! Happy New year to all of you mommies to be!! 3: How was last week? Kinda okay.. Although I keep getting pains here &there..Cramps and stuff plus heartburn too. Thanks so much!!! Sorry I've been MIA! We were away for the holiday and then I've been slammed at work (and trying my best not to get sick!) Haven't worked out this week yet, OH NO, but hope to tomorrow!!!!! Happy weekend! I FINALLY went to a spin class this morning! I went with a friend and my SIL, and we just stayed in the back and went at our own pace. I was able to keep up the momentum and follow the instructor's movements for the most part but backed off the pace and resistance at times to keep my breathing more steady as she coached through the intense climbs and racing bits. Third (low over the bike but off the seat) position was a challenge with my belly, but I LOVED the class! It's snowing here this weekend so I knew I wouldn't be getting out for a run and the crossfit WOD looked too challenging for the third trimester. Looking forward to incorporating more spin classes! It was only my 2nd workout of the week though....with getting back to work this week I was kinda tired getting back to my 4a alarm. Hi mamas!!! I've missed everyone! After Christmas my Dad decided to fly out to stay with us for what eneed up being 10 days! But we really enjoyed the time with him. He got DS a year membership at the local Gymboree (kids play gym) which will be super awesome throughout this yuck weather and when little lady gets here! We can take her for free until she walks so I def think she'll be able to take advantage too! I HOPE that DD is about 3 days late. Same birthdays is such a thing in my family. I have the same birthday as FIL. DS was born on our niece's birthday. There are ton others too. But if DD comes 3 days late she will be born on my nephews 1st birthday whcih would be super sweet! Yall talking about a recipie exchange reminded me that I started that frozen meal thread. I will get on thr computer today and get some added if everyonethinks that's a good place for it. Maybe Ill start a new one since there were quite a few non freezer meal comments made. I can add a note like I've seen others do just to add recipies. @jenny0228 what an awesome plan to transition to maternity leave! Working from home will no doubt be fantatsic during that last stretch. Idk where you live but especially considering the weather can still be yuck then. Hire the cleaning help. Do it. Do it for you. Do it for your family. I hired cleaning people even before I had kids. It is absolutely worth it. There is nothing like 1. coming home to a clean house and 2. Only having to do minor tidying to maintain until the next time they come. ESPECIALLY with the furry little loves. My goodness that hair can get everywhere and feel impossible to keep up with. Also hope you're going easy on yourself. You've been an absolute rock star don't beat yourself up if you need any bit of a break! 1. How far along are you? 32 weeks tmw! 2: What are your goals for the week ahead? I'm super excited for thr schedule I've made for thr next two months. I have made commitments to other mamas for a couple days a week for stroller strides. DH and I have committed to spinning every Sat am whcih started this morning! And my DIY 21 day fix starts on the 15th! 3: How was last week? Eh like I said my dad was here and he is a huge couch potato (due to the fact he works so hard and travels so much)his idea of spending time together is always watching new TV shows. So I did a lot of stretching and arm dips while we all hung out in thr living room! 4: Any new challenges or needed modifications?? Bending over. From putting on snow boots to picking up weights I've def had to adjust how I bend over. 5: How are/have you treated your self? Celebrate your body and its accomplishments! So... DH and I adjust have been massage envy members since 2009. But in the last couple years we have never gone then they upped their prices. So we agreed it was time to cancel. But when you cancel you have to use your built up massages in 30 days. DH has 28 hours and I have 24. So we are now both getting weekly massages until DD gets here. I'm soooooo looking fwd to this. Not only will it be a 90 minute massage it will be a little bit of time out and about on my own bc the appointments are 4pm every Wednesday and DH is on Fridays. So if I wanted to go to target solo after I can!!! Just knowing I have these days planned is really motivating! 6: Questions, Concerns, Rants, Raves, Randoms? I know I know that with each child you have ethign magical happens and your heart grows in a way that can't be explained but yall I can't help but sometimes feel so sad that DS won't be the only child any longer so soon. I feel like he's going to be robbed of an extended baby time. Which I got great advice from amother mama who had her first very close - reminder not to expect more of them just bc they are older and remember they are still a baby. But DS is getting soo sweet and cuddly the last couple weeks. The idea of me not being able to snuggle him bc I have to nurse her makes me get teary. 7: GTKY: Hows baby prep coming? What have you done? What's left on your to-do list? I've laid out our bag. Toiletries are set. We have diapers and will probably add the car seat next month. I think this week I'll start to look into what we will bring her home in - outfit wise. I feel a little overwhelmed with the idea of planning to pack for DS bc I know it will be a lot of last minute items (food etc) but I need to start a list on the white board in our laundry room for that. 8: challenge chatter---> Day 15 today! Hmm... I do them when I remember... Next challenge I really need to print this out and put it up for me to see daily! Esp if it's squats. Need all the strength I can get in the final strech to labor & delivery!! Hope everyone is having an awesome weekend! 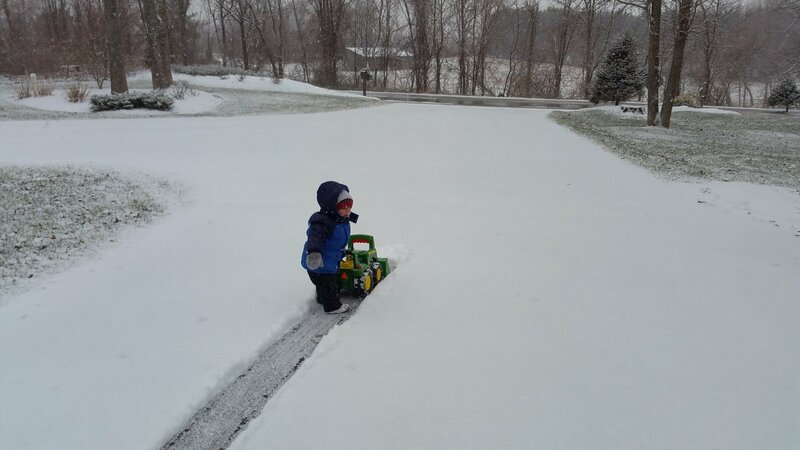 I've added a picture of DS helping with some snow removal this morning! @vino831 what an adorable photo!! Sounds like you have a great plan for the rest of your pregnancy with stroller strides, weekend spinning, and the massage schedule! I still can't believe that many of us are looking down the home stretch. Way to go on the arm dips while watching TV. I always think of doing that stuff and then just never do! Wall sits are toasting my legs!!! yesssss. I can't wait till we're done with this one and move on to squats! Haha.